A scientist has appeared to join your rosters! 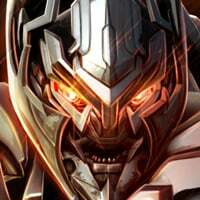 Are you ready for the partner of Starscream to help you in your fight? @Kabam Miike Can you answer a question about his signature ability? We want to know if he repairs only on burn damage or any kind of damage received. It's a F-14 Tomcat Jet mode!! SWEET!!! not necessarily accurate to the toy/cartoon... but I love the Tomcat! He has nice synergies, but hope you rework him since his skills of blocking at the right time along with parry isn't as useful here compared to mcoc. Don't know anyone who's blocking attacks rather than just evade them all together and doubt others will change their play style for one bot and if you mistime it by a sliver of a second you eat a combo and die if you play high level am. For me personally he'll be a nice addition to my arena team but that's about it. So Starscream's synergy gives Starscream Dexterity from that "other game". I would like to see how that would play out. On paper jetfire seems below average. 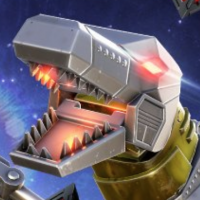 Seems like another hound tier bot. | ▓﻿ |See this? It's my depression meter, it shows how depressed I am because Warpath isn't in the game. 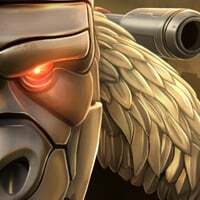 Who cares if warpath isn’t in the game. There are many bots not in the game. Stop spamming this nonsense! Hahaha props to you buddy!! You tell him ! Was going to say "in before @Ænigma tries to ruin the joke" and he's already in the thread. Damn, you guys are fast at trolling. Back on topic, the bot looks good, but I doubt he'll make up to my team. Judging by his abilities and synergies, he can't match Shockwave or Rhinox in any way. Probably a good base defender with the AI constantly blocking, but for one in 6 months I'm no entirely sure I want that bot. 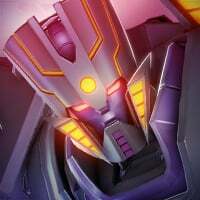 just ignore me if you don't want to see me post about Warpath, who cares if I post and meme about the one bot I want in the game? Man, as much as I love the Tomcat it really just doesn't fit with the blocky bot mode IMO. I guess I'm too used to the sleaker Macross style Valkyrie/Battroid. I really do like his bulky bot mode but feel they should have gone with a more toon accurate jet mode. So what's the deal with Jetfire having two totally different canopies? The one on his chest looks totally different than the one in his alt-mode. That's not a canopy, I think that's just part of his paintjob, you can see the nosecone on his back. 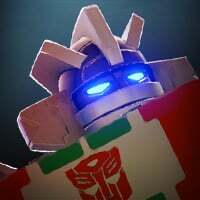 There's already a thread for bots you want to see in the game, makes no sense to spam warpath in other threads when they don't have anything to do with him. No need for spam / going offtopic. At least for me and what I can others sure it was fun the first couple of times but now it's stale repeating the same stuff over and over. Its modelled on the Thrilling 30 toy, which has the same thing. The faux cockpit sits under the body in jet mode, and the jet cockpit sits between the two rocket boosters on his back in bot mode. Personally I think the two modes are pretty consistent with the toy. It went from a real tank of a bot to a relatively sleek jet mode. It will be any damage. If he has a Burn Debuff active, he will remove it and Heal. If there is no Burn Debuff, he will just heal! Thanks for clearing that up. If there are multiple burns applied to Jetfire, will an energy charge be needed to purify each stack of burn or is it just a one-and-done kinda thing where one charge purifies all burn? Sounds awesome @Kabam Miike !! Can we by any chance get a video under media on forgedtofight.com? Also, you haven’t uploaded a video for Scorponok yet. Thanks so much for your awesome work on Skyfire! A lot of what determines how good he will be is what is considered a “well timed block” in the game. His “generic” synergies say +2~5% armor or +2~5% attack. The other bots have synergies with a +2~8% range. And it’s not because he’s a tech — I checked Wheeljack’s synergies too. Is this a typo or does Jetfire just give less synergy? Where's the info on jetfire's spotlight? You saved me the trouble of asking. lol. If the enemy throws a volley of three shots at me and I use JF to parry, what will happen? Will the first parried shot cancel the second one, and I'll face the third one? Jetfire seems like a pretty good bot despite the rating. Of course, I say that for the majority of new bots but here's what I think. What I was expecting with the parry shield was a copy of the Parry Commander Mastery from MCOC but this is basically giving players a free Soundwave Dupe as a basic ability. 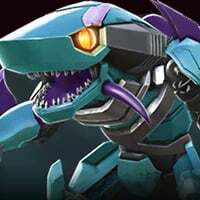 Ranged attacks are reflected if blocks are timed, so bots that rely on ranged like Waspinator, Star Scream, and Hound will be punished by those with a fast enough reaction. The charges seem like a thing that's been carried from Skorponok with a different ability. Since these charges increase power rate instead of attack, it works with the whole "Tech description" of "Unique weaponry" and "manipulating power". Jetfire's signature ability seems like a modified Mirage heavy attack. Instead of avoiding ranged attacks completely, it heals him and purifies burns. This seems like a good way to recover health, but can be detrimental if the opponent uses a heavy since you can't parry. His specials are similar to Shockwave's. Jetfire's special one delivers more powerful ranged attacks (more similar to Star Scream than Shockwave admittedly), and his special two places a heal block. They don't seem like they'll deal very much damage based on their utility. I believe a good strategy is to bring him against most bots. Melee reliant bots like Brawlers and some Warriors will deal less with their basic melee hits. Ranged reliant will take more damage like Soundwave. My final thoughts is that he'll be a pretty good bot, but you'll have to be careful with the low hp and damage. Looking back, I'm pretty sure that's why he has the utility and unique shields. Another question, does parry gives Jetfire frame advantage to retaliate (like parry in Street Fighter 3.3)? I mean you need some frame advantage to break the block stun in order to parry three shots in a row. Otherwise it's too difficult to gain charges. Or maybe... his shield activates for a period of time and reflect all? God-tier e.g. best bots on the game. Not literal dogma based god. The other bot I was referring to was Scorp.